The clock continues to tick for Fisker Automotive, which hasn't built any cars for roughly six months now. The company's new CEO, Tony Posawatz, has said Fisker is seeking a partner--some might say savior--that it can work with to help launch the Fisker Atlantic mid-size sedan it unveiled at last year's New York Auto Show. Under the most optimistic scenarios, that's unlikely to happen until 2015, and Fisker will run out of cash long before that. So Posawatz and other members of the Fisker team are in China, seeking investors who will want to acquire Fisker's range-extending electric powertrain. FIsker apparently values that powertrain at $1 billion or more, promoting it as a quick and easy way for a company to jump ahead in the growing field of plug-in cars without having to start from scratch. According to the Wall Street Journal this morning, Fisker is now in talks with several different companies--two of which are serious enough to have hired banks to work on potential offers for the company. Whatever the outcome, Fisker hopes to conclude a deal by the end of next month, according to the Journal report--or, at least, that is its goal. Late last year, Posawatz revealed that Fisker Automotive had hired restructuring specialist Evercore Partners to assist it in finding partners. One of the companies Fisker is talking to is Wanxiang America, a unit of China's largest car parts manufacturer. Last year, Wanxiang agreed to buy A123 Systems, the bankrupt maker of lithium-ion cells used in the battery packs for the Fisker Karma luxury sport sedan. The outcome of Wanxiang's offer is awaiting a judgment by the Delaware bankruptcy court. 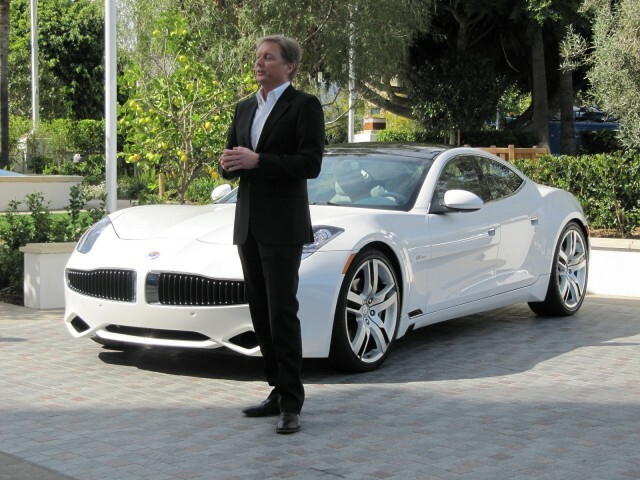 Fisker's low-interest loans from the U.S. Department of Energy, under its Advanced Technology Vehicle Manufacturing program, was frozen early in 2011 after it missed numerous deadlines for Karma production. Roughly $190 million of the $529 million commitment had been disbursed at the time. If the company is sold, it's unlike that any new owner would have access to the remaining low-interest loan funds from the Department of Energy. Along with publicly-traded Tesla Motors [NSDQ:TSLA], privately-owned Fisker was criticized as a "loser company" by unsuccessful Republican candidate Mitt Romney during the U.S. presidential campaign last fall.